The member states of the European Free Trade Association (EFTA) aim to maintain close economic and trade relations with Britain after the country leaves the European Union. 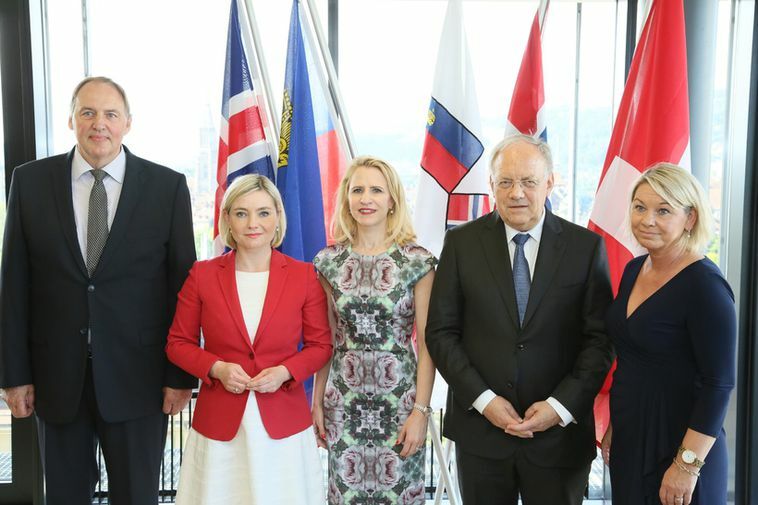 The four countries, Iceland, Norway, Switzerland and Liechtenstein, agreed at a ministerial meeting today in Bern in Switzerland to have close consultation on the matter. The EFTA countries will seek solutions parallel to Britain's secession negotiations with the EU to "prevent a legal vacuum" once the secession agreement comes into effect. Which form of relations with Britain will best serve the interests of the EFTA countries, however, remains to be seen according to a press release today from Iceland's Foreign Ministry. Iceland will hold the EFTA Council's rotating chair from 1 July until the end of this year. The relations between the EFTA countries and Britain will be Iceland's top priority during that time as well as concluding ongoing free trade talks with countries all over the world. Within hours after the results of the British EU referendum were announced the Icelandic government met at a regular cabinet meeting were it was decided that Foreign Minister Lilja Alfreðsdóttir would raise the issue at the EFTA ministerial meeting in Bern.